My tiny painting measures 5 ¼ x 3 ½ inches. As a general rule, I don’t include painting in the artistic services I offer for clients. Painting is my fine art, intentionally kept free, pure, and uncorrupted from commercial use. One exception was a tiny piece I made as a prop in 1987 for the film adaptation of Frog And Toad Together. It was created for a scene in which Frog reads a story to Toad about a knight fighting a dragon (which I also animated). The original Uccello measures 21.9 x 29.2 inches. 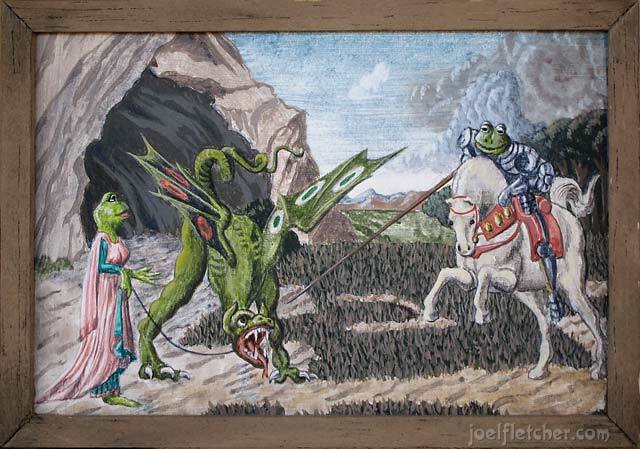 Director John Clark Matthews requested a painting for the wall of Frog’s house that reflected Frog’s storytelling. 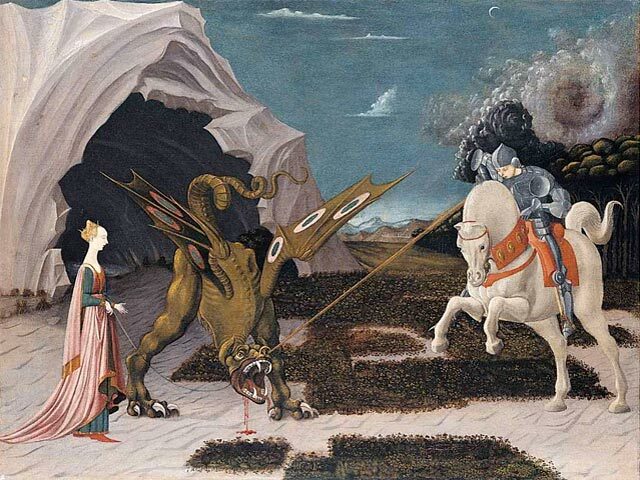 Specifically, a re-imagining of the famous 1470 masterpiece Saint George and the Dragon by Paolo Uccello, except with frogs as the knight and maiden. It took me a full day to paint it, on Bristol board with acrylic paints, surrounded with a balsa wood picture frame. 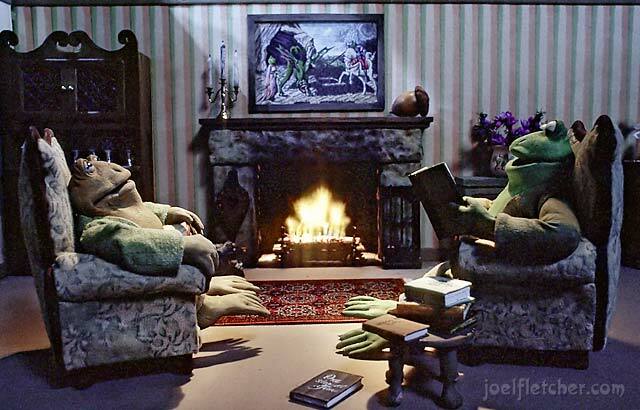 In the movie, the painting is featured up close, then widens out to reveal Frog and Toad in the living room. Most children probably didn’t “get it”, but hopefully adult viewers recognized and appreciated the parody of Uccello’s masterpiece!